Your smile is a work of art; it deserves as much care and attention as any masterpiece. At Jeff Johnson, DDS, we appreciate the value you place on your teeth, and make it our priority to add strength and beauty when necessary. We believe that an effective dentist combines advanced dental technology with timeless style; blending art and science to enrich your health and appearance. Whether you need a simple brush up with a cleaning, or a more complex procedure such as a filling, Dr. Johnson will surpass your expectations while meeting your needs. We look forward to adding your smile to our collection of happy clients. Healthy smiles for healthy families start with professional family dentistry. 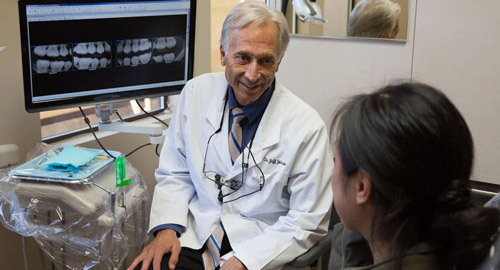 At Jeff Johnson, DDS, your bright, healthy smile is our top priority. Of course, you'll only smile if you're as happy with our service as you are with our dental treatment. That's why we take the time to listen to your needs and concerns. Not only do we listen to your concerns, but we use gentle, efficient cleaning techniques. We also hire caring, highly trained professionals. Our experienced team of specialists is invested in meeting all of your dental needs; from calming anxieties to teaching good habits, from regular check-ups to sophisticated dental surgery. Time to schedule your next appointment! Call today at (425) 644-0300, or use our easy online scheduling form to set up your next visit quickly. We look forward to helping you brighten the world with your smile.